Former Military Governor of the defunct Mid-Western Region of Nigeria, Major General David Ejoor (Rtd) is dead. Although getting official confirmation from either his family or the Nigerian Army on Sunday evening was difficult, Newsmen gathered that, Gen. Ejoor, who was also one-time Chief of Army Staff (COAS) passed at about 6:00pm on Sunday, in a Lagos hospital. 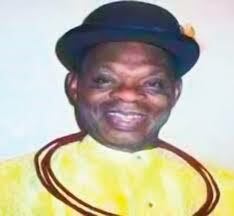 A reliable source from the Urhobo Progress Union (UPU), the late retired army general’s ethnic nationality, told newsmen that Ejoor died after a prolonged illness.